Until recently rescued by David McCullough, John Adams has always been overshadowed by Washington and Jefferson. Volatile, impulsive, irritable, and self-pitying, Adams seemed temperamentally unsuited for the presidency. Yet in many ways he was the perfect successor to Washington in terms of ability, experience, and popularity. 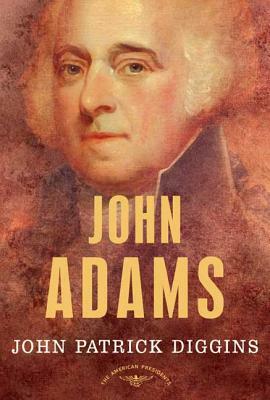 Possessed of a far-ranging intelligence, Adams took office amid the birth of the government and multiple crises. As well as maintaining neutrality and regaining peace, his administration created the Department of the Navy, put the army on a surer footing, and left a solvent treasury. One of his shrewdest acts was surely the appointment of moderate Federalist John Marshall as Chief Justice of the Supreme Court. Though he was a Federalist, Adams sought to work outside the still-forming party system. In the end, this would be his greatest failing and most useful lesson to later leaders. John Patrick Diggins was distinguished professor of history at the Graduate Center of the City University of New York. He was the author of numerous books, including On Hallowed Ground, The Proud Decades, The Lost Soul of American Politics, The Rise and Fall of the American Left, and Max Weber: Politics and the Spirit of Tragedy.